Sneinton Community Organisers visited "Action Camp 2014" at Yarnfield Conference Centre in Staffordshire for Locality and CoCollabrative's inspiring learning and networking event. 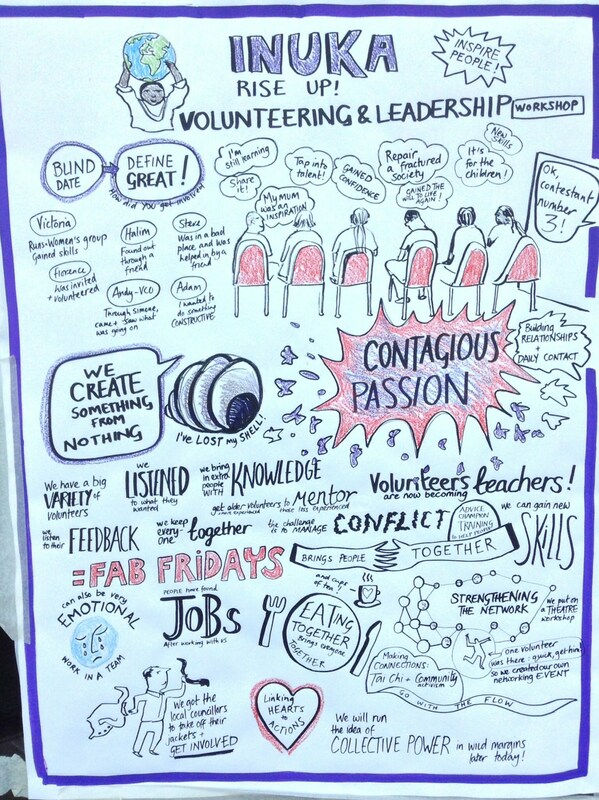 We joined over 400 Community Organisers from across the country to share experiences and learn from each other. 20 volunteer community organisers from Sneinton came with us to Action Camp and participated in several workshops on offer. Sneinton Community Organisers collaborated with Portland community organisers to delivered a Volunteer Leadership workshop on Saturday and Sunday called INUKA Rise Up!